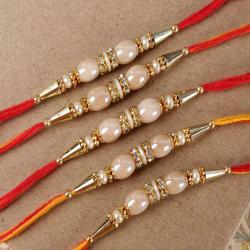 Product Consists: Designer Set of Five Pearl Beads Rakhi nicely tied on a designer Card. Five extremely wonderful Rakhis for your loved one to shower your lover and blessing on the auspicious day of Raksha Bandhan. 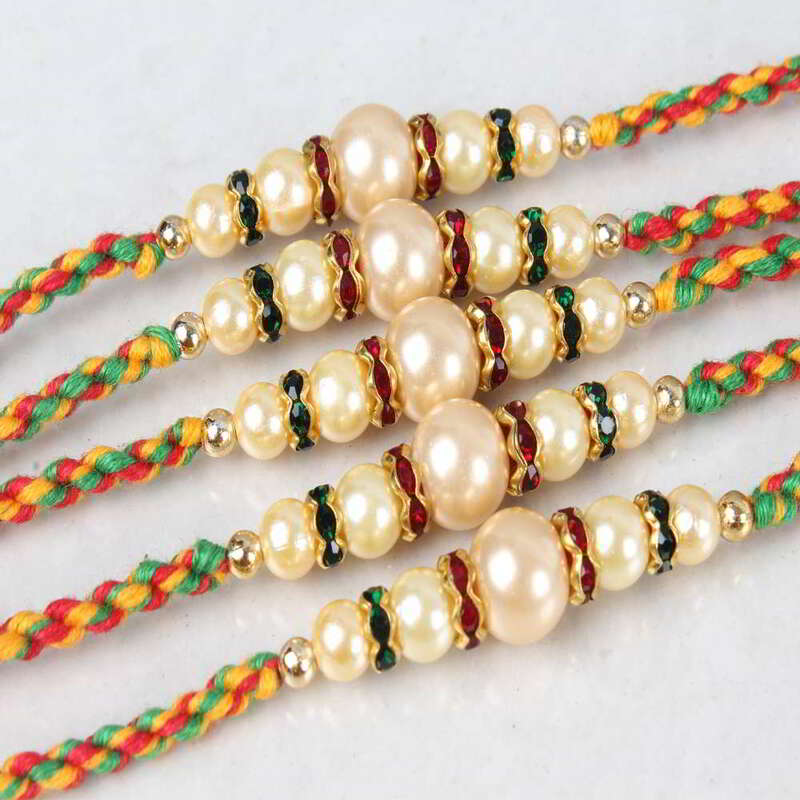 White pearls threaded with colored rings and a matching string makes these Rakhis special. 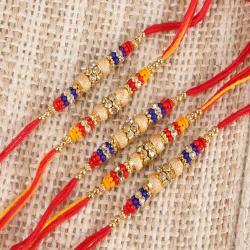 These designer Rakhis when tied on the wrist of your loved one will make them feel your love hidden in it. 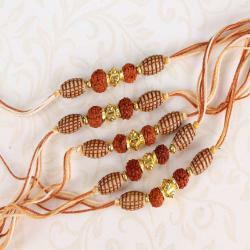 Tying Rakhis is a promise between a brother and sister to be each other’s side for life. 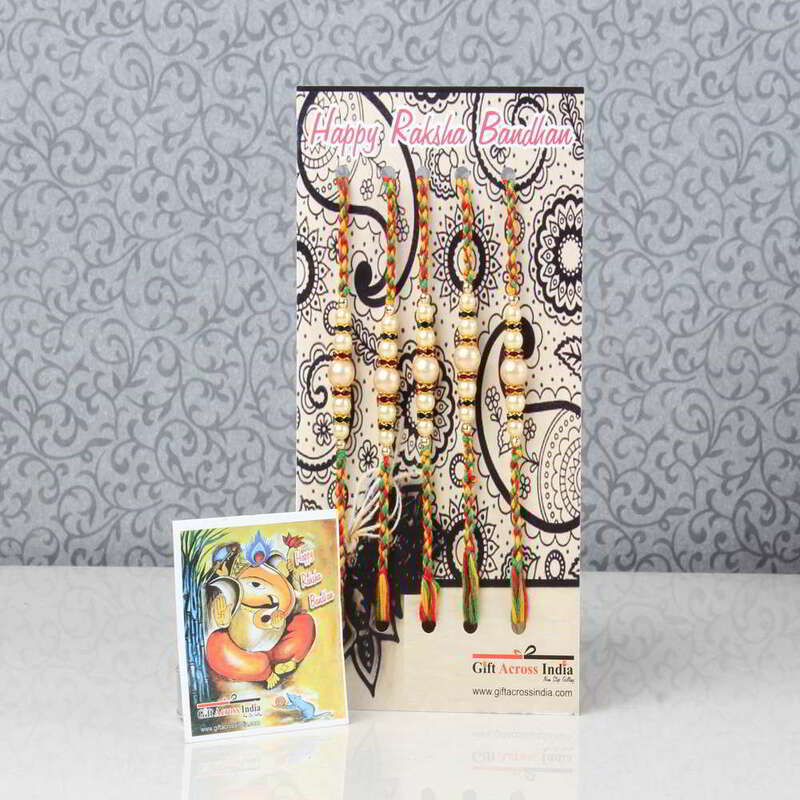 Send this pack of five designer Rakhis for your brothers to cheer the occasion of Raksha Bandhan and make them feel your presence in their lives. 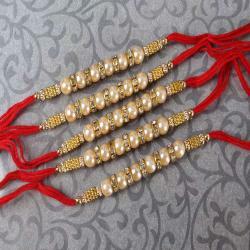 Product Consists: Designer Set of Five Pearl Beads Rakhi nicely tied on a designer Card.